Wire rope has been around a LOOONNG time. Perhaps, therefore, the most tried and true. Remember, this was the big upgrade from tarred manila used on the old square riggers of yesteryear. First steel, then not far behind galvanized wire rope and finally stainless steel wire rope, most common today. Stainless steel wire rope, in the sailing world, generally comes in 4 construction types: 1 x 19, 7 x 7, 7 x 19 (pictured left), and 1 x 19 Dyform or Compact Strand (pictured right). Standard 1 x 19 stainless steel wire is primarily used in standing rigging and now (within the last 10 years or so) also lifelines. 7 x 7 stainless steel wire is rarely seen anymore in the sailing world and is generally reserved for vinyl coated lifeline cables. 7 x 19 stainless steel wire is still used a good bit (although it is fading fast with the popularity of synthetics). 7 x 19 is mostly used where cable flexibility is a necessity, i.e. 2:1 backstay bridles with backstay tensioning devices, center board cables and steering cables. Lastly, stainless steel 1 x 19 Compact Strand or Dyform wire, is the stronger, lower stretch version of standard 1 x 19. Compact Strand is used primarily in performance applications or where high loads are expected but the diameter of the wire needs to be minimized, i.e. catamarans and high performance boats using wire rigging. Wire rigging, generally, is the most common form of standing rigging found on sailboats today. 1 x 19 standard stainless steel specifically is the most common style of wire used. All of these types of wires can be found in both metric and imperial size ranges except for Dyform/ Compact Strand which is only available in metric sizing (at least as far as I know). Stainless steel wire can come in many grades; in marine applications a minimum of 304 grade is recommended, but we [at TRC] won’t touch it unless it is the more corrosion resistant 316 grade. Wire comes in as the lowest cost product of the three, especially when using swage fittings. Life expectancy is very good with regular inspection, 7-20 years or 15-25k nautical miles depending on use and region. It lasts not as long as rod, but longer than synthetics. It also is the stretchiest and most elastic of the three choices and therefore offers the lowest performance. Nitronic 50 (XM-19) Rod rigging has extremely long life expectancy attributed to design (mono strand) and the composition of the alloy making it very corrosion resistant. It is arguable that the lifespan of a Nitronic 50 piece of rod will outlast all other stay materials. One of the recent misconceptions about rod is that it is very expensive to replace and also hard to find parts. Hence more and more people have been asking about converting their rod rigged boats to wire (but more on that below). Contrary to recent rumors, rod rigging parts and service are readily available at The Rigging Company! Rod rigging does require a more in-depth service protocol during recommended intervals, which includes unstepping the mast to inspect and re-head the rod as needed. It should be known that the cost for this is very reasonable, nowhere close to the cost of re-rigging. Yes, when dealing with complete rod replacement (not service) which is rarely the case, one can expect to pay a bit more for rod rigging, relatively speaking of course. and lately carbon fiber rigging is taking the performance stay market to the next level. These materials have proven to be a ‘weight wienie’s’ dream; synthetics offer somewhere between 60-80% in weight savings over that of metal stay materials. 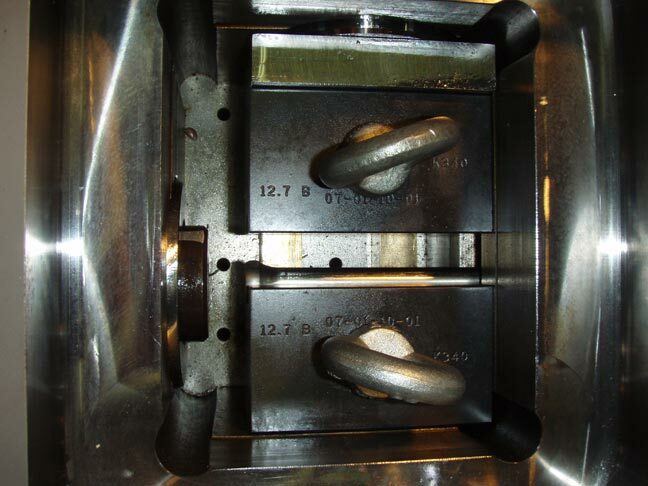 Tensile breaking strengths are roughly 10-50% higher when talking about comparable sizing. Lastly, synthetic rigging’s ultra low stretch performance characteristics, which can vary depending on product and construction type, are as good or better than anything out there. The downsides of synthetic stays are they are generally more expensive (except single braid Dyneema perhaps) than the other stay materials out there. Even with great strides, claiming 10 years of lifespan with service, in the carbon fiber side of things, synthetic rigging will not last as long as the metal stuff. The last downside I always point out is, although some of these materials are extremely chafe resistant (varying depending on construction technique and material choice, of course), I will stand firm that they are no match to that of metal wire or rod. Just a Cool Boat Pic….You’re Welcome. Lastly, I’d like to touch on the subject of switching from one stay material to another. As I mentioned above, many people with rod rigging have been asking about changing over to wire. I think this is mainly attributed to the lack of service centers and parts availability for rod rigging IMHO. I will try and keep this short and sweet by starting off with the fact that it will likely cost more money to change over the rod rigging to wire, even though wire rigging is slightly less expensive (again, generally speaking). There are attachment point changes as well breaking strength considerations which can become a problem especially when considering pin sizing. Conversely, upgrading from wire to rod rigging presents similar issues. Having said all of that, there are some (very few) boats with rod rigging that can easily get away with changing things over. Valiant is one that comes to mind. This is because they utilize conventional attachment points. To finish this up, if talking about synthetic upgrades from rod or wire there are some better options for you. The main reason for this being a more viable option is that synthetic rigging was developed to be an upgrade from wire or rod (barring some of the newer super yacht designs, probably a non-point to you, the reader, since you are on this site). Whereas rod and wire rigging was primarily developed to be OEM equipment, not an upgrade option. Thus, if you have wire or rod…chances are, you are better off sticking with what was there originally, OR upgrading to synthetic. Thanks for the read and please be so kind and leave us your thoughts below. Tags: 1 x 19 compact strand, 1 x19 wire, 7 x 19 stainless steel cable, 7 x 7 vinyl coated wire, ALPS WIRE ROPE, BSI FIBER RIGGING, BSI Rod Rigging, Carbon fiber rigging, Chesapeake bay rigging companies, Colligo Marine, Dyform cable, FUTURE FIBERS, how long does wire last?, KOSS WIRE, LOOS AND CO. WIRE ROPE, Masts and rigging, NAVTEC ROD, NAVTEC SYNTHETICS, Nitronic 50 rod rigging, rod rigging, rod rigging inspection, Synthetic rigging, Valiant yachts, wire rigging, WORLDWIDE ENTERPIRSES, XM-19Categories: Americas Cup, Classic Yachts, Cruisers, Modern Yachts, Multihulls, Product Review, Racers, Rigging, Tech Tips, The Biz! Great point! There’s always something missing. We’ve written about this in a blog called “Rod Rigging” which is linked in the article, but it is’t clear. This article should be updated. Synthetic rigging suppliers now say that it should be sized based on creep rather than breaking strength. Synthetic rigging tends to be much more elastic than wire rigging. No doubt, this (creep) is a major factor in choosing the right stay material size. Carbon rigging perhaps being the exception, but I am curious for more information on this. We will indeed update this soon. For now our suppliers still size by tonnage. Also the pin sizes associated with the stay’s diameter are a factor in how we decide which diameter stay your boat requires. Thanks for caring and thanks for the comment. Most of these seemingly simple write ups require regular updates as the market and the knowledge associated is changing constantly. It’s comments like these that help us stay sharp. Pingback: Why Choose Dyneema Rope vs Steel Wire Rope For Heavy-Duty Rigging? I am thinking of taking my hallberg rassy 26 on ocean passage and need ro renew the standing rigging she has 6mm all round and a 5 mm baxkstay I want stronger so am rhinking of using dyform same sizes with stalok fittings. Any thoughts ? Sorry I am just getting around to this. Things are a bit hectic here. I think it all sounds good, you would improve the performance as well as the strength by upgrading to this type of wire. One consideration is parts availability. I can't go without saying that, consider what ever was there to begin with was certainly suitable and has worked well thus far; so there's that argument. Thanks hope that helps and let us know if we can help you out further. I have a C & C 42 Landfall with rod rigging. 1978 year is old but it is what i could afford. Think about long cruising at 68 but want somebody to look at rigging before i go. Atlantic Yacht Basin got all my money and say dead batteries? They laugh they fixed alternator and recommend i come back. How does one measure tension in Aramid stays? Very good question…I would use a Loos and Co. rigging tension gauge. It has nice, fair nylon rollers that will agree with the fiber stay materials. In my mast with rod uppers there is a clindrical device that holds the rod ends at each side. Can the rods be removed? And how is the clindrical device held to the mast? Also this has a technical drawing of the tangs that you are asking about (pretty sure). YES, you can remove them, but you may find that they are more than you bragined for. HEAT is recommended. Please call or email us for further assistance. We’d be glad to help. Informative article. I am looking at a boat now with carbon mast and boom with PBO rigging. I took particular note of your comment on PBO “good luck with that one”. What do you mean by that? I am assuming that you are not a fan of PBO rigging. Thanks for reading and the kind words. HA! No...I was referring to the pronunciation of the word Polybenzoxazole. Having said that, the stuff is very expensive and no one seems to know how long it really lasts, so it gets replaced very quickly. If replacing I would look toward Carbon Strand fiber rather, if staying with synthetics. Another super informative post thank you! If you fancy a holiday in NZ then my wire rigging needs replacing next year. Also the spinnaker halyard keeps jumping out of the sheave at the top of the mast requiring someone to go up every time to get it down. As you can imagine this is getting quite tiresome! Anyway we will get the mast out next year to sort it. We do have a good rigging team here in Christchurch who can sort it. (unless you fancy a holiday that is…?!) ha ha. By the way is that the reflection on the transom of that yacht? What a great paint job! HA! Thanks Viki! Actually, the wife and I have always quite fancied a vacay to NZ. It may be a long shot, but doable. We’ll need to exchange a few emails, answer a few questions. First let’s see what the wife says. Yeah, that boat is incredible.